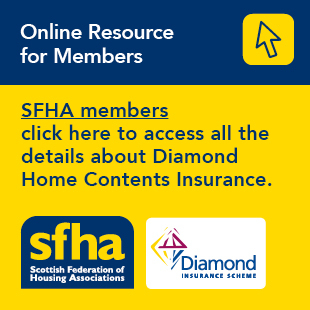 Scottish Housing Regulator gives evidence to Scottish Parliament committee. The Scottish Housing Regulator yesterday (Wednesday 11 January) gave evidence to the Scottish Parliament’s Local Government and Communities Committee on its work over the past year. The regulator’s Chair, Kay Blair, and Chief Executive Michael Cameron appeared before the committee. Ms Blair opened the session by confirming that the regulator had achieved all its objectives in 2015/16 while operating within a constrained budget. Ms Blair said that “safeguarding and promoting the interests of tenants, homeless people and others who use the services of social landlords drives everything we do”. Ms Blair explained that the regulator continues to focus on good governance, financial health and good service delivery. She highlighted how the regulator’s work adds value to the social housing sector, helping to create the environment in which lenders are confident to invest and helping to sustain the delivery of quality homes and services for tenants. Ms Blair and Mr Cameron also updated the Committee on how the Regulator has used its statutory powers to protect tenants of a small number of landlords. Mr Cameron also highlighted the regulator’s work around homelessness, service standards for Gypsy/Travellers and how it monitors landlord progress in meeting energy efficiency targets.